The Richmond area was a-flutter for CJSTUF from May 23-June 5th with the First Annual Butterfly Social. 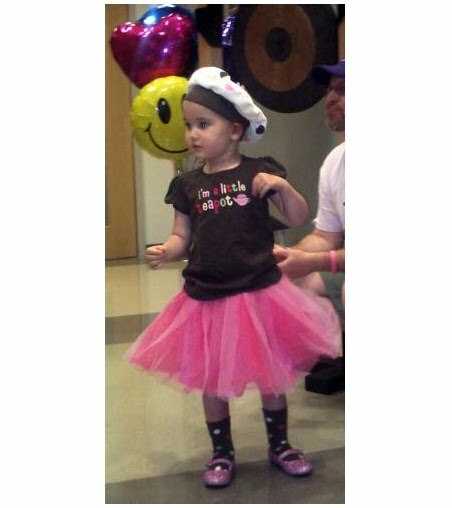 Five hostesses held parties at their homes for friends and family to raise funds and awareness for our organization. In total, the events raised over $2500. Thanks to the generosity of the hostesses and their guests, we can help an additional five families in the Richmond area battling their challenges with chronic and life threatening illness. Look for information next spring about our next Butterfly Social. We hope to make it an annual event! The Alford family Butterfly Social gives a big thumbs up! 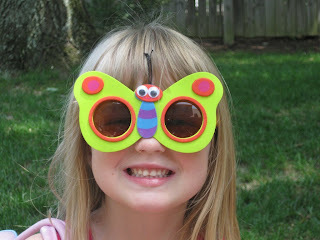 Butterfly glasses were a huge hit at the Swanson family Butterfly Social! Emily Starrett, Kathy Suydam, and Meg Helsley hosted a mom's brunch with lots of pink and purple!